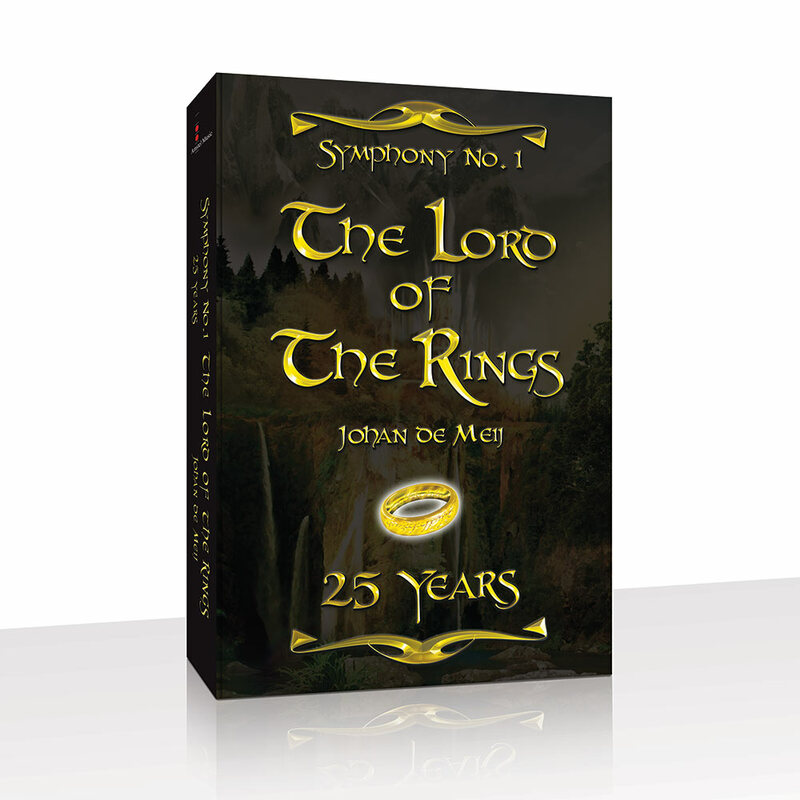 My first contact with Tolkien-inspired music dates back to the late 1980s, even though I can hardly remember it. I must have been nine or ten years old back then. I was watching TV with my parents seeing a performance of Military Bands. Later I would discover that it was the Dutch composer Johan de Meij’s Symphony No. 1 (The Lord of the Rings) I’d heard. I didn’t discover its connection with Tolkien until I started reading the books at the end of the 1990s. A classmate, Bart Boon, with whom I was talking about the books, had a recording of De Meij’s symphony and lent this to me. From that moment onwards I started collecting Tolkien inspired music. Though it is far from complete I guess I still have quite a nice collection of Tolkien-inspired music, over one hundred albums. Once you start collecting you find the most interesting material, but be warned, not everything is enjoyable for Tolkien enthusiasts. Some material is blunt force commercial exploitation, as for instance ‘Christmas inspired by Lord of the Rings’: not a single Tolkien-inspired song is to be found on this entire recording, and it was released previously under an alternate title. However, we shall not focus on the humbugs of this world but continue with more serious attempts to musically conceive Middle-earth. One of the artists of whom I have grown fond over the years is composer Paul Corfield Godfrey. 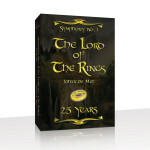 Besides many other works, he composed four (stage) opera’s based on The Silmarillion. I did an extensive interview with Mr Corfield Godfrey which can be found on his website.We will come to discuss these works in a later part of this article. It is very difficult to say one piece of music suits Middle-earth better than another, because all have their own value. All music is ‘good’ in its own right; it is a matter of taste if you prefer one to the other. Therefore I will not single out any one work within this article as ‘the best of this or that because it has this or that quality’. What I will do is tell you what kind of Tolkien-inspired music there is to be found in the world, and I will try to remain neutral in my opinions. If I give any at all, it is merely to tell what it feels like for me. As readers of J.R.R. Tolkien’s works, we are often amazed by the landscapes and insights the dear Professor provided when he created the world we all came to know as Middle-earth. Over the years many creative artists have captured it in drama, image and music. Tolkien’s often inspiring words were brought to life by them. I can’t imagine what wonders lay beyond the next corner or underneath the stones on this road that never ends. But I might introduce you to my own world as I combine two of my dearest hobbies, music and Tolkien. I can’t let you experience the music first hand, you’ll have to do that for yourselves, but I can put you on the right path, the path that leads towards a greater enjoyment or experience of Tolkien’s world, imaginative or not. It was obvious that music was very important to Mr. Tolkien: he even used it for his creation myth. A fact we may overlook to some extent, is that many of the poems in Tolkien’s legendarium are not so much poems but are in fact songs of some kind. One might say that many of those poems (or songs) were translated from a language non-native to the Hobbits, (such as Quenya) into Westron (or Common Tongue), by Bilbo or Frodo, and through Tolkien translated into English. Does this mean all the mentioned instruments can be found in Eä? I think not, even though some of those instruments might be developed over time by one race or an other. It is after all a description (like unto = similar) not a given fact. 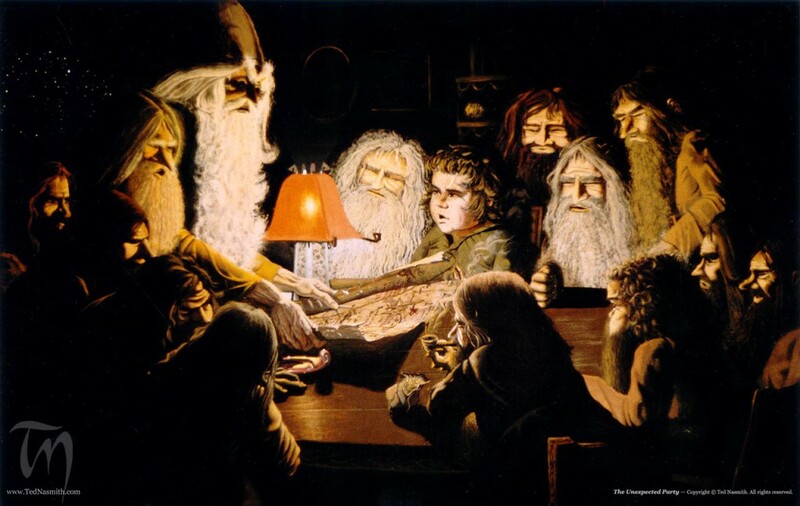 Picture credit: The Unexpected Party by Ted Nasmith. Used by kind permission. I'm Jeroen Bakker, born on may 30th 1981, Velsen -Netherlands. I first read LotR in the late 1990's. My primary hobby intrest is music, my secondary hobbies include Star Trek and Tolkien. I'm educated in the Landscaping/City Greenkeeping and Tourist sectors and Pestcontrol. Currently I'm not active in those sectors I currently work as a (local) journalist and self employed translator, writer and poet and I aspire to become a composer. I was diagnosed with both Autism (Asperger's Syndrome) and dyslexia. My favourite Tolkien chapter is the Ainulindalë, the creation myth from the SIL. Edit: It might be worthy to know on what audio system I 'judge' the quality of audio recordings. I use a Rotel RCD990 cd-player, Transparent Music Link RCA interconnect, Krell KAV 300i integrated amplifier, Transparent Music Wave Plus speaker cable, B&W CDM ™ 1NT monitor speaker.